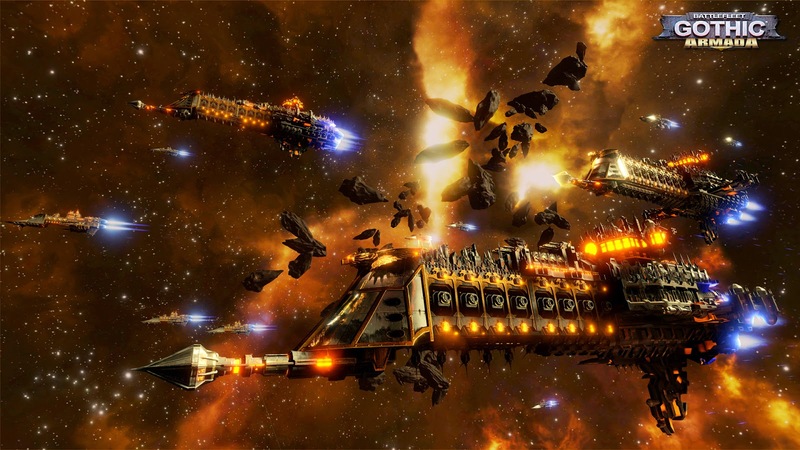 There’s going to be a Battlefleet Gothic video Game! 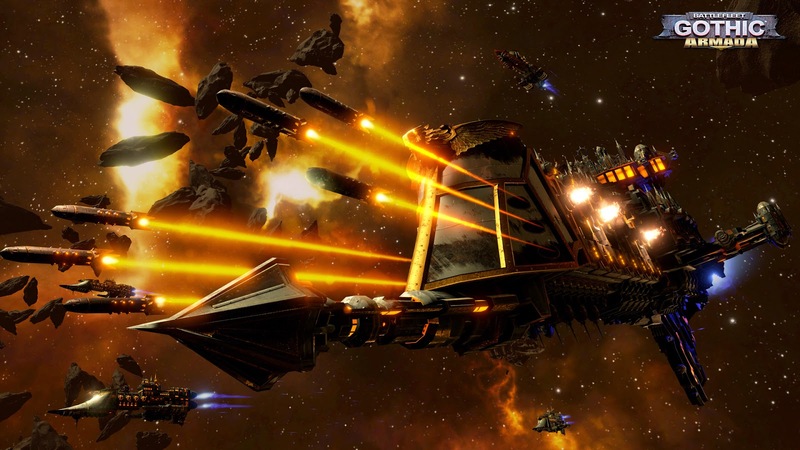 Focus Home Interactive have announced work on a Battlefleet Gothic video game. 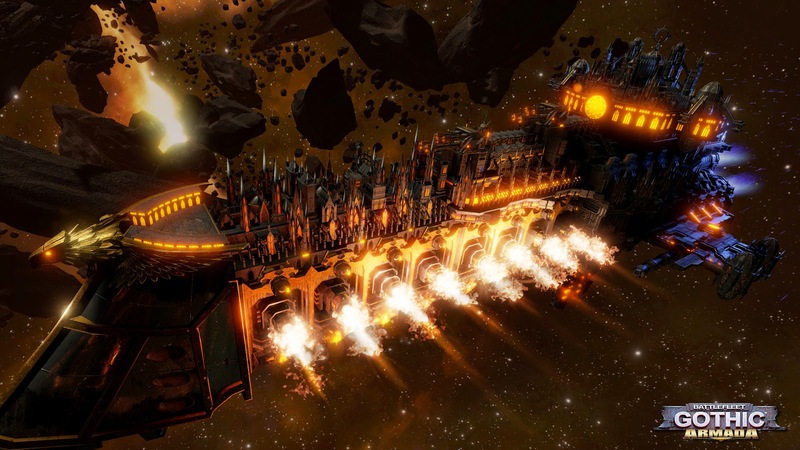 Battlefleet Gothic: Armada will be a real time strategy game for the PC and follows the trials of the Imperial Navy as they try and hold back Abaddon’s Black Crusade. There’s not much more information at present, except that you’ll be able to play as Imperial and Chaos as well as Orks and Eldar and that you’ll have the option to customise your ships in detail. No gameplay footage has been released but Tindalos Interactive has released some unbelievable shiny images of Imperial ships in action. I’ve never played Battlefleet Gothic. No I’m so old school I actually owned its predecessor, Space Fleet, which was released way back in 1991. The press release uses the term RTS, so I’m expecting this game to be more like Dawn of War in space then a direct translation of the old miniatures game. Focus Home Interactive is already working on Mordheim and Space Hulk Deathwing so it does make you wonder what other Games Workshop Licenses they have up their sleeve.